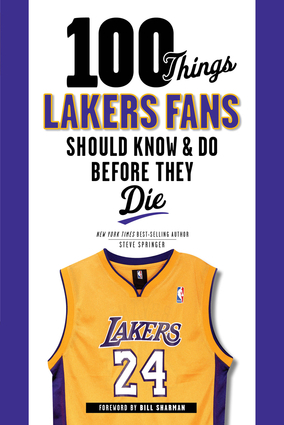 Steve Springer is a former sportswriter who spent 25 years at the Los Angeles Times. He is the coauthor of Laker Girl and American Son, with boxer Oscar De La Hoya which made the New York Times bestseller list. He lives in Woodland Hills, California. Bill Sharman was one of the first NBA guards to push his field-goal percentage above .400 for a season (.436 in 1952–53). He still ranks among the top free-throw shooters of all time and he led the league in free-throw shooting for a record seven seasons. He was elected to the Naismith Memorial Basketball Hall of Fame in 1975. In 1996, he was named to the NBA 50th Anniversary All-Time Team. He lives in Redondo Beach, California.